Truck drawers are a great way to maximize the capacity and storage of your truck’s bed. A set of well-designed truck drawers will provide a convenient and neat solution for organizing your space and offer a great deal of utility. What’s more, truck drawers can be installed in as much of the bed as you like; or have a bed on top themselves. Truck drawers are supremely versatile, but you should have an idea of what you will be carrying in the truck before you invest in a quality, custom made solution. 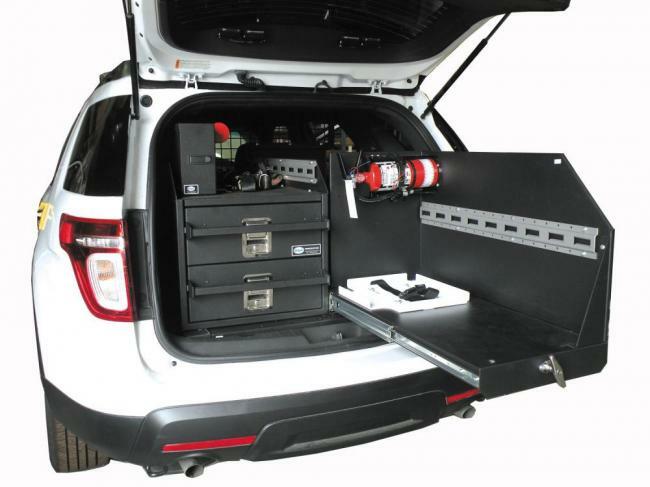 Law and order – Truck drawers specified by law and order agencies for patrol and tactical vehicles feature a highly bespoke setup. Not only must the drawers offer secured gun racks, it must accommodate room for a plethora of other tactical equipment, computer and networking hardware. Some also include slide-out expansion to function as tables in the field. K9 units – Truck drawers are in high demand with K9 units. These are designed to transport your four-legged passenger(s) safely and comfortably. And allow easy ingress and egress. Multiple points of entry, a fan and a rubber mat make this a must-have for easy dog-handling. Such is their utility they have become increasingly popular with pet owners, simply for the convenience they provide and the confidence that comes from a well-designed and well-installed device. Business tools – Did we mention truck drawers are extremely customizable already? So much so, they can be custom-designed for whatever business haulage needs you may have. Small tools with separators? No problem. Larger equipment and heavy supplies on one side and electronics on the other? Easily done. We can even incorporate whiteboards into our truck drawers, so your meetings can go wherever you do. The trucks drawers are limited only by your imagination and requirement. Camping – Truck drawers have always been a camper’s dream. They maximize the utility of your pickup truck like nothing else. Features and cut-outs can be built into truck drawers for all sorts of appliances, storage and more. D&R Truck-Stor need be your one-stop shop for all your truck drawer needs. We are a nearly two decade old company, with tremendous experience installing and modifying truck drawers in pickup trucks. Our services and products are trusted and relied on by businesses and law enforcement agencies and emergency vehicles. We are a trusted name for all truck drawers-related work and offer intelligent advice and expert installation. Our truck drawers can be fitted to most makes and models of truck, SUV and car manufacturers, including those from Ford, GM, Honda and Dodge. We are proud to say our custom made truck drawers are made right here in Canada itself, using modern materials and techniques. We offer a tremendous selection of truck drawers and include unique features to add that much more convenience at the work site, responder situation or general haulage. Use our vehicle search function to find out what storage solutions are available for your vehicle.